Zoe Dutton is a research intern at the Woodrow Wilson Center in environmental change and security. Photo Credit: European Commission, May 2010, courtesy of Kevin White. On July 11, the UN Security Council debated the security implications of climate change for the first time since 2011. This debate was the culmination of Sweden’s full-court press to integrate climate change into the work of the UN Security Council during its two-year term as a non-permanent member. Representatives from several countries and UN Deputy Secretary‑General Amina Mohammed testified to the security impact of environmental events in their homelands. The event created momentum that 2019’s non-permanent members—in particular Germany and Belgium—can build upon next year. A 2017 UN Secretary-General’s report on Lake Chad conflict failed to cite the environmental factors in the crisis, spurring the Swedish government and the G7 to support research that identifies and assesses the region’s climate-fragility risks. “It is time for the Security Council to catch up with the changing reality on the ground,” said Margot Wallström, the Swedish Minister for Foreign Affairs, at the July 11 session. “And, it is past time for us to deepen our understanding of how climate change interacts with drivers of conflict.” She called for “improved tools, analysis, and reporting from the field,” including climate risk assessments and early warning, as well as an “institutional home for these issues within the UN system.” This summer, Sweden will launch a knowledge hub for climate security in Stockholm to help inform the UN. The UN debate came on the heels of the European Commission’s celebration of “European Climate Diplomacy Week” in June, which concluded with the European Parliament, European Council, and European Commission agreeing to a new Energy Efficiency Directive, as well as new governance regulation. 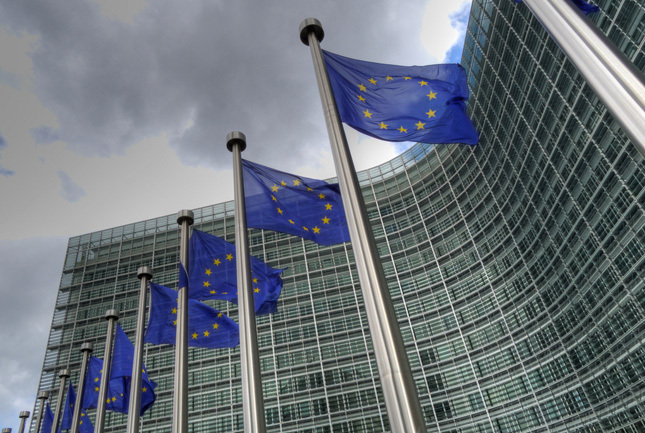 The EU committed to cut carbon-dioxide emissions by at least 40 percent by 2030, as well as set a binding renewable energy target of 32 percent. These new deals are the latest step in Europe’s ongoing effort to improve its energy efficiency to meet the goals laid out in the 2015 Paris Climate Agreement. Maros Šefčovič, the Vice President of the European Commission and head of the Energy Union, applauded the decision. He said it emphasized Europe’s commitment to “lead the clean energy transition” undaunted by the United States’ “disappointing” 2017 withdrawal from the Paris agreement. As Europe works to position itself as the global leader on environmental initiatives, it offers an important counterweight to China’s own recent attempts to dominate the arena. At the same time, the United States’ failure to join in these efforts means it is losing a key opportunity to assert itself on the international stage and establish its leadership on a geopolitical issue of growing importance—and strengthen its relationships with European allies. At another Climate Week event, “Climate, Peace and Security: The Time for Action,” European security leaders emphasized the shared responsibility to mitigate climate-security risks, and offered suggestions for how countries could effectively integrate climate, security, and development policy initiatives. However, EU member states still have a ways to go before they meet the Paris agreement’s goals. In a report released last September, the German government acknowledged that it would miss its 2020 climate goal of reducing emissions by 40 percent, and likely only achieve 32 percent—at best— compared to 1990 levels. According to Climate Action Network Europe, no European state is on track to meet its Paris commitments. There are some promising signs: Since 2007, European carbon dioxide emissions have decreased by about 12 percent. But such measures can only be truly effective at combating climate change—and ensuring a peaceful future–if the rest of the world joins in.